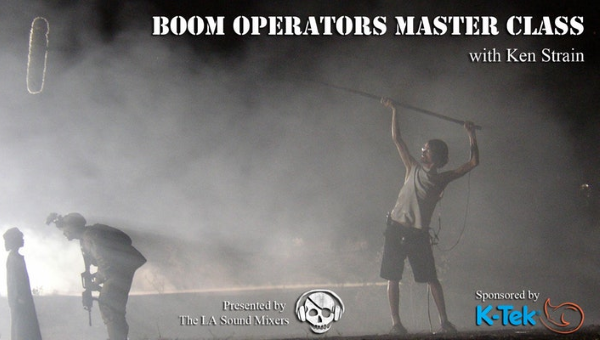 The LA Sound Mixers present a Boom Operators Master Class with Ken Strain. Sponsored by K-Tek, the event will be held on Sun, August 6, 2017 (10:00 AM – 1:00 PM) at the IATSE Local 80 Sound Stage in Burbank. For further event information, topics covered and RSVP please visit the corresponding website.